Cullen Investment Group, Ltd. is registered with the U.S. Securities and Exchange Commission and the Municipal Securities Rulemaking Board. Cullen Investment Group, Ltd. is an independent investment advisor and registered broker dealer located in Lafayette, Louisiana. 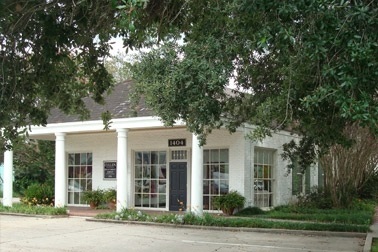 Established in 1986 as Lafayette’s only locally owned and operated full service brokerage firm, Cullen occupies a special place in the financial community of south Louisiana. Using a disciplined value approach, our customized portfolios are designed to grow and conserve our client’s wealth. At the same time our goal is to deliver an unprecidented level of personalized service. We invite you to explore our site and learn more about the services we provide. Should you have any questions or would like more information on our firm, please feel free to email us at [email protected] or call us at (337) 237-8000. We look forward to hearing from you. "Basically, price fluctuations have only one significant meaning for the true investor. They provide him with an opportunity to buy wisely when prices fall sharply and to sell wisely when they advance a great deal. At other times he will do better if he forgets about the stock market and pays attention to his dividend returns and to the operating results of his companies."